Our feet have to carry a heavy load every day but unfortunately we often pay little attention to them. Misalignments are often not noticed over time, the foot shape may change and a shoe that fit perfectly some time ago may no longer be suitable. A very good idea is to run barefoot regularly, it is good for your feet and naturally leads to a healthy lifestyle. With the right fitness shoe from Keller Sports you´re well prepared for your next training session! Fitness and sports in general are ideal to compensate for a sedentary job, and this is largely influenced by the shoes we wear - so they are essential for our well-being. They must be comfortable above all and conform to the shape of the foot. Only perfectly fitting trainers ensure optimal training success. Many athletes hang their fitness shoes back on the hook due to recurring blisters that are the result of strenuous training; that is why fitness shoes should provide damping for the joints and comfort for the feet - all depending on the specific sport practiced. In some sports the joints have to be under a lot of pressure, so the trainers should provide as much cushioning as possible to minimise the strain. An example of this would be Zumba, because this sport requires a lot of hopping and jumping. Even when jogging or running, you should wear sports shoes that provide quality dampening. Keller Sports offers you the KSPME ® , the Keller Sports Product Matching Engine, which gives you the chance to find perfect fitness shoes which perfectly match your specifications. Our experts can advise you on all matters relating to this topic. 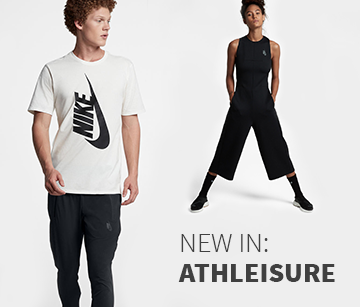 With their expertise you´ll soon find the ideal pair and fitness clothingfor your favourite sport! If you practice mainly indoor sports, then you should have indoor sports shoes in your bag. Non marking soles make sure that you leave no traces of colour on the bright hall floor. Good fitness shoes should also compensate for slight misalignments of the foot. Those with high-arched or flat feet should wear special fitness shoes that fit their foot shape to avoid too much pressure on the joints - this is especially important when jogging, running or dancing to Zumba. Pronation and supination should also be taken into account when buying trainers; this is when the foot tends leans the inside (pronation) or the outside (supination) more than the average. Athletes with this type of foot should choose trainers according to their support and damping properties, whereas athletes with neutral feet should choose their's depending on the sport they use the shoes for. Sports people who like to practice multiple different sports should choose fitness shoes which have multiple purposes and suit all sports. If you go to the gym regularly, but also join in with the Zumba and aerobics classes, then you should choose trainers which are suitable for all three. For running outdoors you should definitely buy a pair of running shoes, because you need particularly sturdy support and excellent cushioning on rough terrain. In addition to the stability, the breathability of the material used is of decisive importance. Sports manufacturers use innovative fabrics which draw perspiration away from the skin so your feet feel fresh and dry no matter how strenuous the workout is. If you´re training for your first marathon or working on your stamina in the gym, good breathability is essential! Among the Keller Sports range of fitness shoes you are sure to find the ideal pair that perfectly suit your needs. Get it all at great prices and with fast shipping!